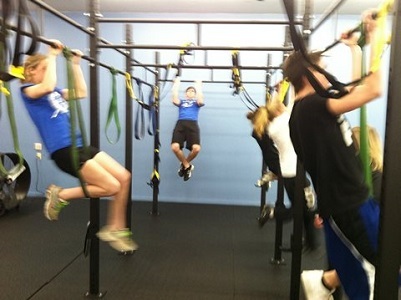 A t least once a week, I am asked about youth fitness training using bands, and in most cases, all I can envision is kids being put through a grueling workout using big bands that literally throw them around like a human slingshot . OK, maybe I am a little off, but I see a lot of things on YouTube that scare me when it comes to training young athletes. 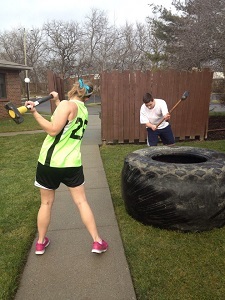 If you really want to make youth fitness training fun, start making the training game-oriented. My goal with any young athlete resistance band workout is to get them to train instinctively because when they reach that level, they are as close to a game situation as they possibly can be. At that moment, training becomes fun because athletes are thinking about competing, not training. Over the past several years, I have had the chance to test some resistance band training games with youth fitness training and wanted to share some of these simple training games with everyone in the IYCA. Young athletes need direction and a target. I find cone drills like a simple Zigzag drill to accomplish both of these. The key to this drill is making sure athletes have a good understanding of how to shuffle or backpedal and how to hold for their partner. Once this is accomplished, Zigzag drills are very easy to implement. 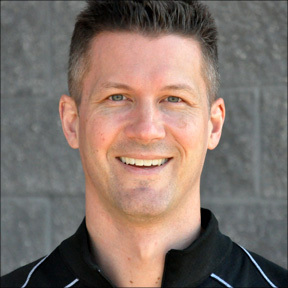 Within about 2 minutes, you will have taught and trained a young athlete how to decelerate in the frontal and sagittal planes while developing good reactive strength from their trunk, hips, and quadriceps. 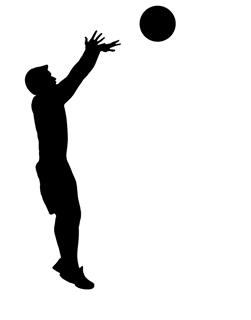 Ricochet is a drill I developed to teach deceleration in youth fitness training. 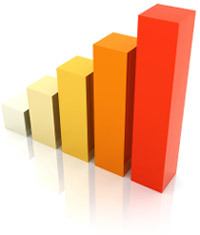 It has become a training game because athletes can compete while performing it. It can be used for all band locomotion drills but can also be effectively used for strength training drills as well. The video below demonstrates how it works with locomotion. It is used for strength training drills in essentially the same way, with athletes alternating back and forth during the strength exercise. This format is great for developing teamwork, but it is also very effective at improving strength endurance—especially when done for a 2-minute time interval. This drill is where athletes get to test their partner, who now is their opponent. Athletes face off where one is offense and one is defense. Defense must react to offense and try to mirror them during the drill. Best drills for this are shuffle or turn-and-go drills. Also, 2-step deceleration drills work well with this setup. This is also a coaching favorite because you allow the kids to dictate the start and stopping point of the drill. To be a successful youth coach, you must find ways to motivate young athletes starting from a very young age and continuing throughout their high school years. Resistance bands can provide a definite change of pace that athletes find fun and challenging at the same time. P.S. On this final video, I thought you would enjoy watching 2 very special young athletes have some fun competing while training in bands. Pay special attention to the laughing that comes along with this type of training. To this day, Kenzie and Carter Schmitz (yep these 2 are mine; I thank God every day) still talk about this experience and when they will be able to do it again. This is yet another reminder that youth fitness training doesn’t have to be filled with boring, routine drills; competition is a great thing! 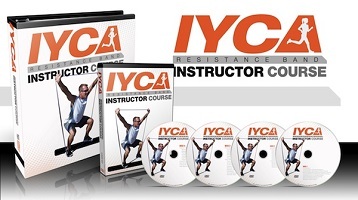 If you are looking for a fun and exciting new component to add to your training programs that will have your young athletes performing their best then check out the IYCA Resistance Band Course. 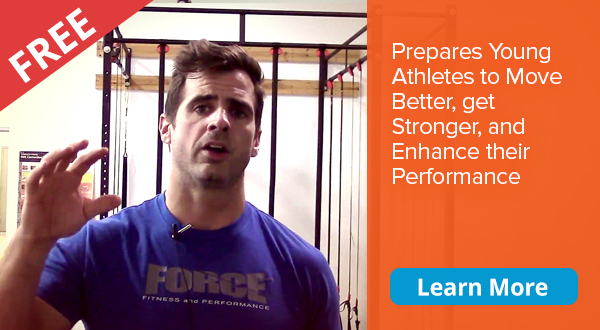 In this course you will learn how to use one of the most versatile, and effective, training tools for young athletes! Prior to my arrival, if you watched the Novice Teams (8 – 11 years old) go through their conditioning regime and then you watched the Senior Team (16 – 18) right after, you’d have trouble distinguishing the difference. A formal assessment can certainly show us gains, improvements and corrections when performed at regular intervals – and because of that, I am all for them. Personally, I have never thought of flexibility or mobility as a factor that plays a huge role in an athlete being able to assume an athletic stance. I do not see where there is enough flexion/extension in any joint throughout the chain where this is really an issue. If you are getting that low you are never going to be overly quick out of the position. For me, it has always been a matter of reeducation. Young athletes simply have no idea how to align their bodies to create the most effective angles for spontaneous multi directional movement. 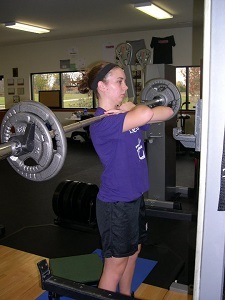 Often they have been coached wrong or not coached at all and have created their own interpretation of the stance. So then it comes down to teaching. Therefore, one must be careful with their “selection of words” when describing movements and positions to kids and young. I prefer using the terms “neutral” and “tilted.” As Kwame suggested, we work on rounding the spine, we work on arching the spine, and we work on keeping the spine in a “neutral” alignment. Then it is a matter or “tilting” the neutral spine forward as the hips move back. Tony Reynolds is a cut above almost every Strength Coach I know. is no one in the world I trust more than Tony to answer them. board every day with fantastic thoughts, opinions and suggestions. Low pulley lowered as far down as it will go (ankle height) with a “D” handle attached. Grasp the D-handle in your right hand and face the pulley. 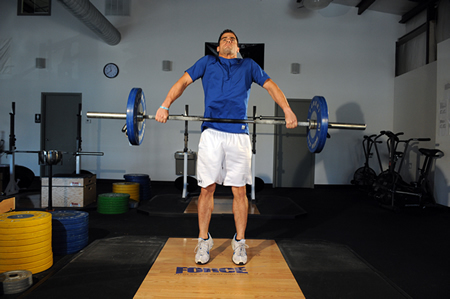 Move far enough away from the pulley so you can perform a full range of motion without the plates touching the stack. Stand on your left foot with your head up, base leg knee slightly bent (10-15 degrees), spine neutral but tilted, and hips pushed slightly back. Flex at the base leg hip. As your torso moves forward and down “push” your free leg back for counter-balance. The free leg hip should not flex during the exercise. You may need to slightly flex the base leg knee an additional few degrees as your hips travel back. This will allow you to keep your weight on the back half of your foot and reach forward maximally with the d-handle while keeping a neutral but tilted spine. Descend until your back is near parallel with the ground. Reverse the motion and return to the top. Letting your hips push out to the side.